Why Fire is Cool - entry #1 - What are Flames Made Of? If I were to start a "why fire is cool" list, it would probably reach a length to rival my "ultimate band name" list. 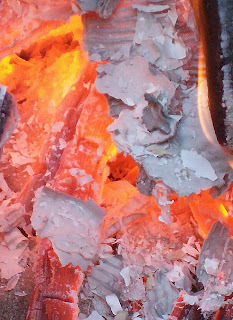 For the sake of brevity however, I will just share the 4 best entries on the fire list, beginning today with entry #1, a blazing introduction into the nature of fire. Maybe you've had the experience of sitting around a campfire and being unable to peel your eyes away from the smoldering coals. When this happens to me I have often found myself wondering what the hell IS fire? Hot coals for staring at. 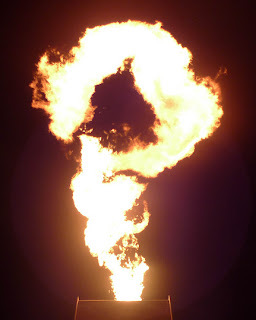 A question mark made of fire.